Bob came out and gave me an idea of how to update my old wood balustrades and Matt came and installed new metal ones for a good price and did the job quickly! Mike and Gina are great. 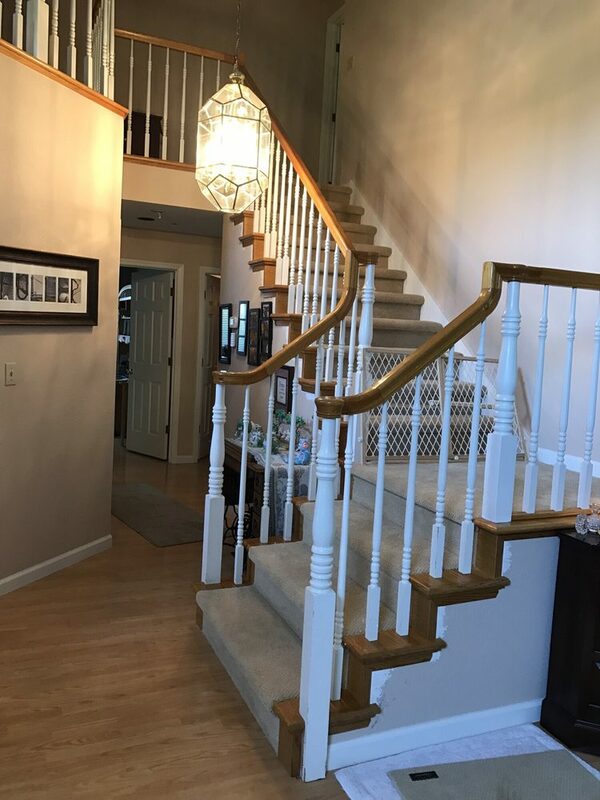 I’m a finish carpenter, “Not a stair guy” I purchased hand railing and other parts, they walked me through the process and straightened me out on a few technical things. I would never attempt to do stair post and railings on anyone elses house but my own. I have a new respect for what they do. I highly recommend All Things Interior. All Things Interior fully renovated our 3-landing staircase at our home in Blackhawk. Cost competitive, very quick completion (they actually show up every day and if not they make sure to let you know ahead of time), and quality workmanship. They made some mistakes, but these projects are complicated, so they’re expected. But they own them and resolve, without drama, so it’s a non-issue for us. 5 stars for this contractor who I’d recommend to friends and family. I had All Things Interiors install new wrought iron railing on a second floor landing around a stairwell. 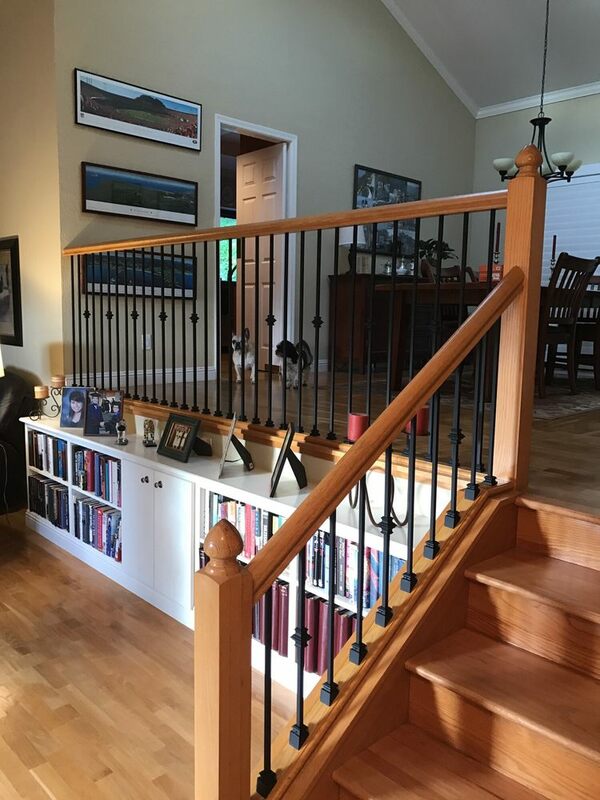 From working with Gina to design the new railing, through the installation process, everything went smoothly, and the finished railing looks great – even better than I imagined. I have nothing but compliments for the craftsmanship shown by All Things Interior. I called All Things Interior to have them prep my stairs for carpet. Our stairs were built without a full tread piece where the old carpet laid down the middle of the staircase. Bob consulted with me on the project and explained what we really needed was a carpenter. I’m somewhat handy so he talked me through what I needed to do. After 4 days of work, I completed the work and our stairs are now ready for carpet. Couldn’t have completed the work without Bob’s insight. If we ever decide to do a full staircase remodel, I’ll be calling them back. We LOVE the new look! Brett did a fantastic job! He was polite, neat, meticulous, conscientious and a true Craftsman. From the quote to the finished project “All Things Interior” was professional and completed our project on time and on budget. Mike and Gina did beautiful professional work in our home. Redoing our stair case and refinishing and painting our kitchen cabinets. They also laid down hardwood floor on the large top landing. We have had them back twice for projects.I think they are great and we are happy with the work. Their crew is so nice too. Connect with us...We want to build your stairs!